Diesel has been at the forefront of fashion since its creation in 1978. 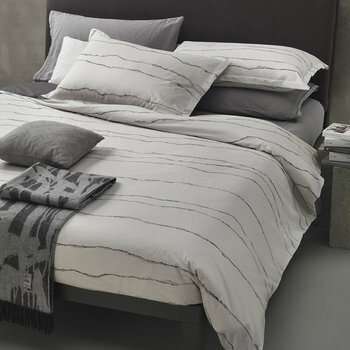 Starting their journey as the pioneer of denim, they moved into the world of casual wear before launching their much-anticipated home collection, Diesel Living, in 2009. 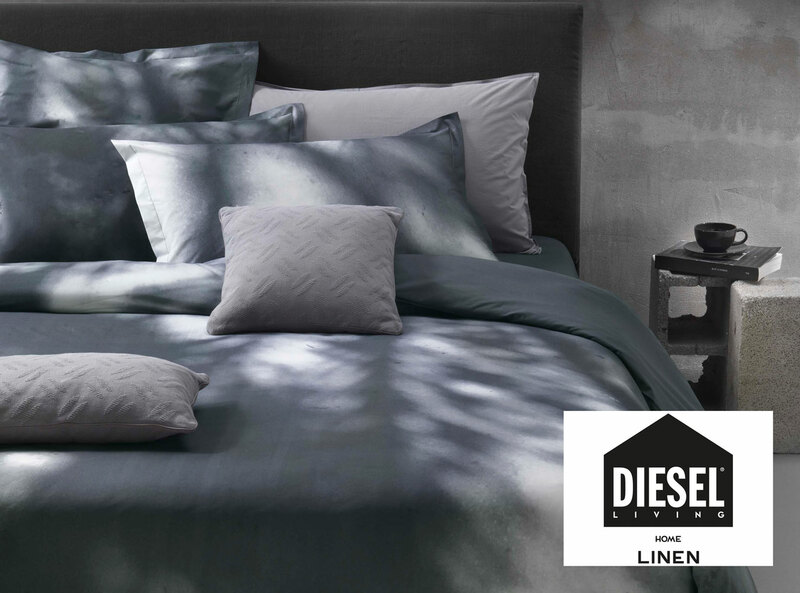 Utilising their signature creative and unexpected approach to design, the home collection naturally evolved from the fashion line, and reflected every aspect of the Diesel brand’s lifestyle and values. Aligned with the brand’s revolutionary spirit, Diesel has always encouraged its designers to be innovative, and to ignore current movements within fashion. Instead, they focus their energy on producing lines that reflect who they are as people, and who the Diesel brand is. 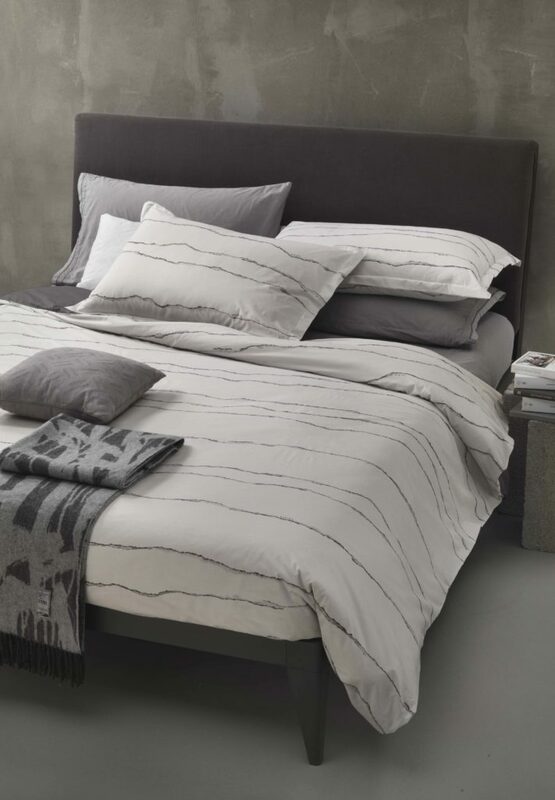 This pioneering energy is evident in the new bed linen collection, which moves away from trend-led patterns and paves its own way in the design world. Flora Shadow gives the memory of summers gone by. The shadow you see from a window, the trace of nature on the path of a big city. 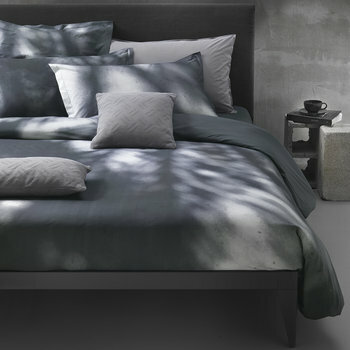 This bed linen set gives a beautiful illusion to your bedroom. Keeping within the floral theme, the Ripped Flower set takes inspiration straight from the flower markets of Mexico City. 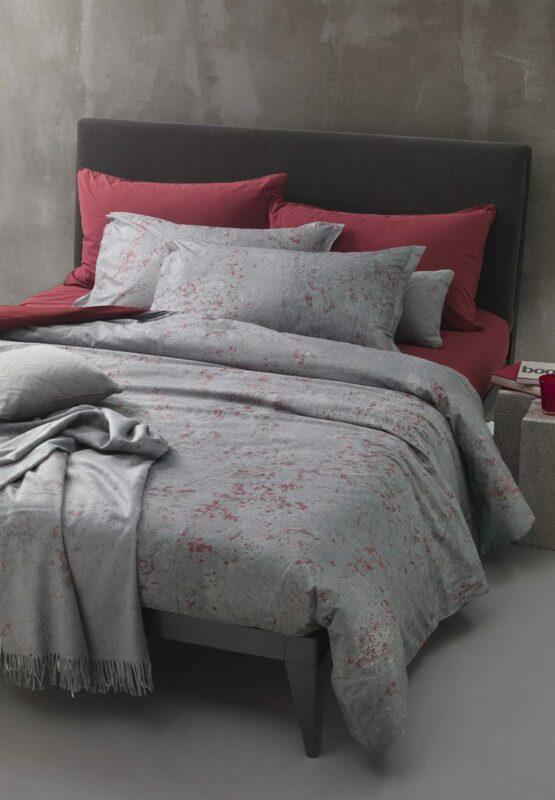 A striking print, the abundant floral pattern is perfectly juxtaposed by the minimalist grey colourway. Perfect for those who love the unexpected things in life. Pieces of torn paper create a beautiful landscape that works perfectly on high quality bed linen, as seen on Ripped Waves. 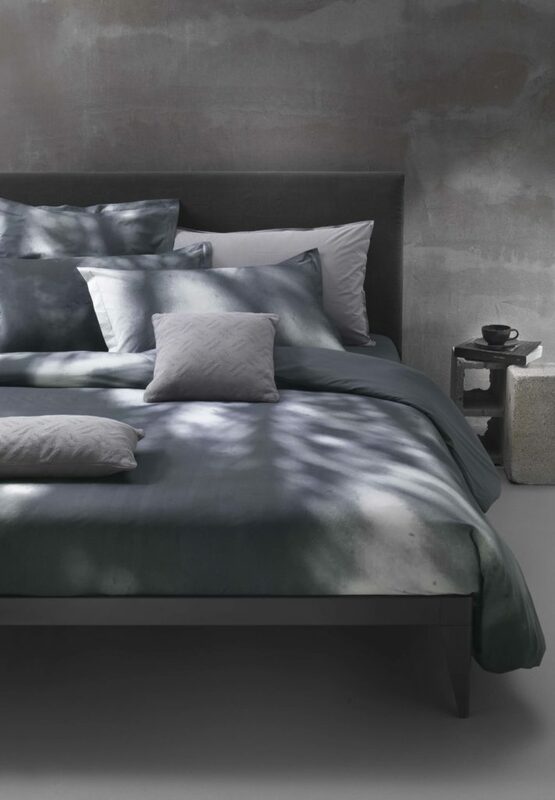 This minimalist design blends effortlessly into contemporary settings, bringing Diesel’s confident aura to the home without overpowering existing schemes. Urban Texture, reminiscent of a beautifully cracked wall, is the only set to include a pop of colour in the new collection. 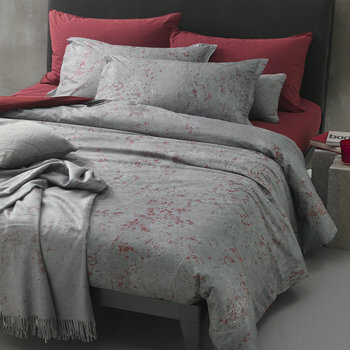 Flashes of red contrast against a grey ground to bring a touch of urban luxe to even the simplest of bedrooms. 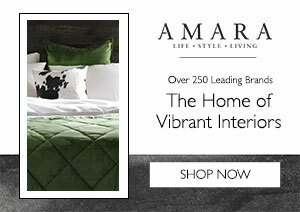 Shop the full Diesel Living collection at Amara now.